Contact us now for the best price on our River Tay Stanley section Rafting trip. River Tay Stanley White Water Rafting trip. 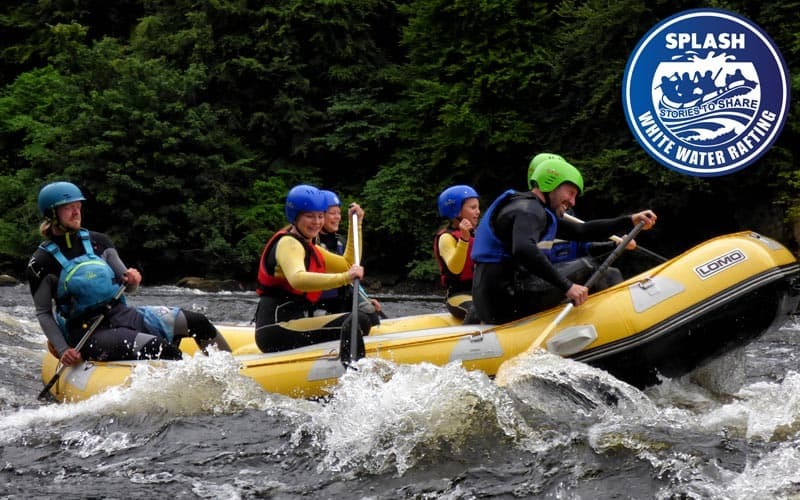 This rafting trip is suitable for school groups who do not want to travel to Aberfeldy. We meet in Stanley village hall. Please inquire for a price. This Stanley to Thistlebrig rafting trip runs in the months of May and June and also on Tuesdays in July and August. The Stanley section of the river Tay is a half day trip, it is about four miles in distance, and is equally good in low water levels as it is when the river is running high. Exciting rapids make this trip an ideal introduction to the sport of whitewater rafting. Rapids like ‘The Weir’ and ‘Hell Hole Corner’ make your trip a memorable one. The rapids are all graded between 2 and 3 for a fun day on a short section of Scotland’s longest river. Stanley is just north of the city of Perth, ‘The Fair City’. 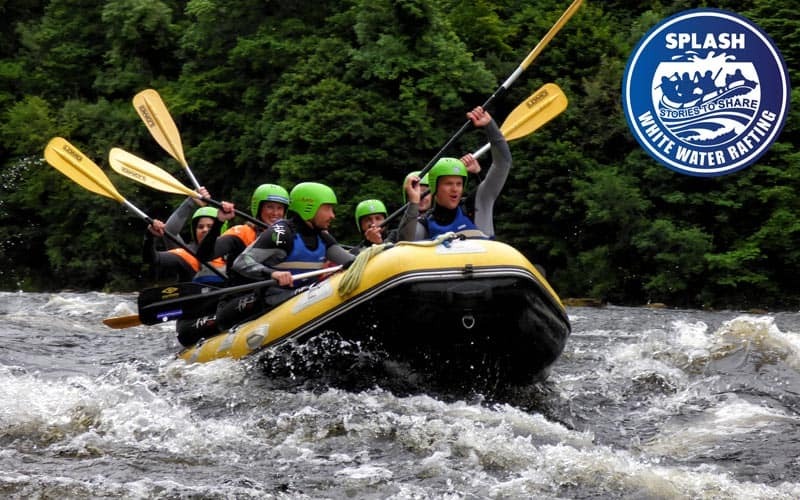 The meeting point is a short journey time from Edinburgh or Glasgow, which makes this the perfect whitewater rafting experience for the day-tripper. The River Tay is lined with trees and dotted with sandy beaches. Usually, the water here is warmer than it is upstream. The River Tay becomes tidal below Perth. The River Tay has several tributaries, including, the Earn, the River Tummel, the Isla and the Almond. Known for its Atlantic salmon as well as for its population of freshwater pearl mussels. Mussels can be found in this section between Stanley and Thistlebrig. A Eurasian beaver has been captured in the River Tay. It is thought that more than 20 beavers live in and around the River Tay. In terms of volume in the River Tay is the largest river in the United Kingdom. Combine your Stanley Section Rafting with another Splash activity and save! 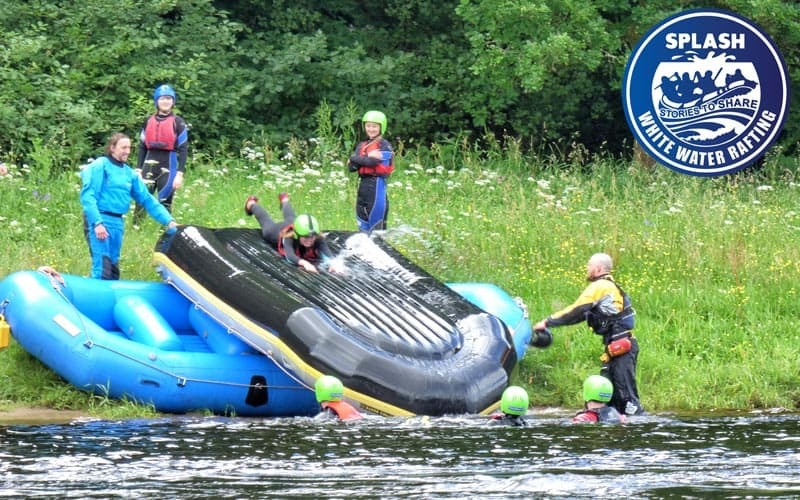 Why not try out Tay, Tummel rafting, river bugs or river duckies? A full day of adventure on the river and in the canyons cost from just £85 per person – guaranteed excitement and exhilaration suitable for the whole family! You will be provided with everything you need to raft safely. However we do ask you to bring an old pair of shoes to wear on the river (These will get wet), and your swimwear for underneath your wetsuit. Optional – a non-cotton T-shirt (synthetic materials are best ) for under your wetsuit. Depending on the time of the year warm clothing for before and after your trip. Contact us to get the Postcode and direction to the meeting location.